According to Path Project, only 57 percent of Latino students graduate high school — due to issues such as language barriers, lack of basic academic skills by third grade, living below the poverty line, and parents who didn’t complete high school. 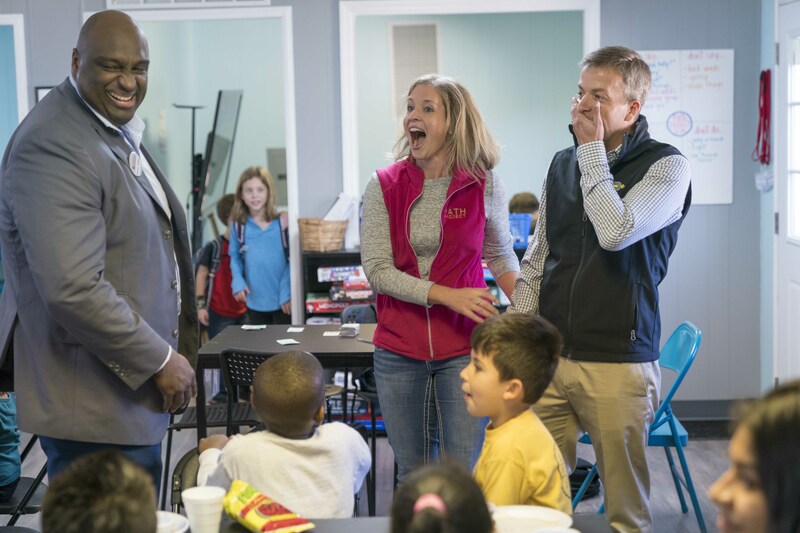 Rodney Bullard, Executive Director of the Chick-fil-A Foundation, surprises Path Project with the good news. To help them expand and reach more children, the Chick-fil-A Foundation selected the Path Project as the 2018 True Inspiration Awards S. Truett Cathy Honoree — which is reserved for the organization that embodies the innovative and entrepreneurial spirit of Chick-fil-A’s founder. As part of that recognition, the Chick-fil-A Foundation, in partnership with Chick-fil-A Franchise Operators Tom Balsamides, Steve Warnstrom and Colby Cameron, surprised the Hollandsworths with a $100,000 check for the Path Project. This year’s 23 winners, which will be recognized at the 4th annual True Inspiration Awards celebration in Atlanta in 2018, have gone above and beyond in the fields of innovative education, emerging leader development and youth entrepreneurship. In addition to the S. Truett Cathy Honoree, the group also includes 12 regional winners, nominated by local Chick-fil-A Operators and voted on by more than 750,000 customers through the Chick-fil-A One app. From By the Hand Club for Kids, an after-school program for Chicago’s high-risk, inner-city neighborhoods, to Celebrate EDU, a non-profit in Boulder, Colo., focused on empowering young people with developmental disabilities through entrepreneurship, we’re inspired by each of this year’s True Inspiration Awards winners. 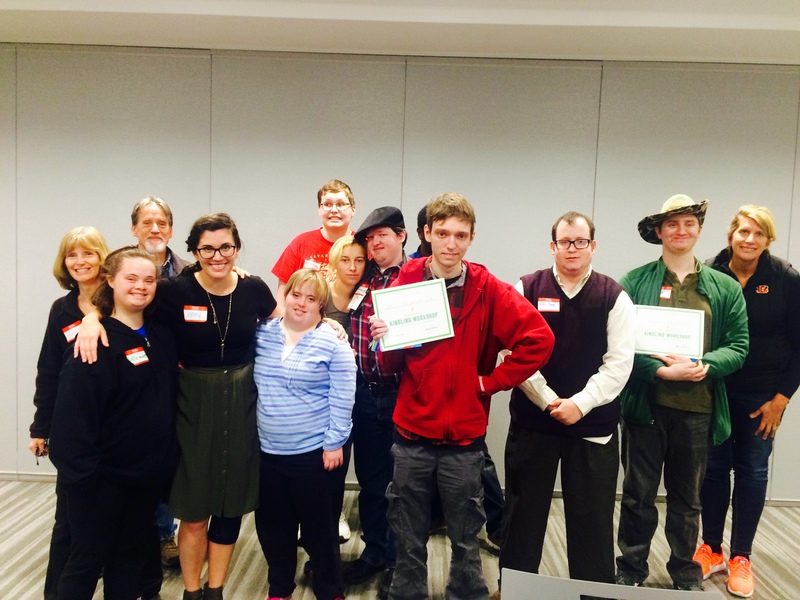 Celebrate EDU in Boulder, Colo., works to empower youth with developmental disabilities through entrepreneurship, and is one of this year's winners in the Youth Entrepreneurship category.